We are excited to announce that our Cub Scouting program is now open to both boys and girls! By welcoming both girls and boys into the program, even more youth will have access to the character development and values-based leadership that Scouting promises. After extensive surveys and studies, the Boy Scouts of America’s volunteer-led board of directors recently unanimously approved a plan to welcome girls and young women into all Scouting programs, and has posted information about the expanded opportunities for Family Scouting on a new family Scouting page. 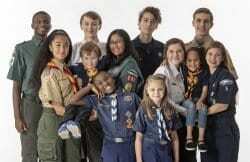 The family Scouting page provides several resources, including a helpful fact sheet. Troops for girls officially launched February 1, 2019. 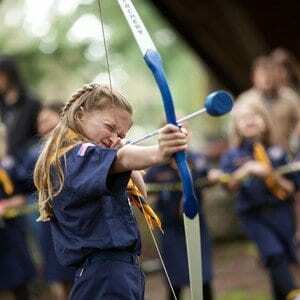 In Scouts BSA, older girls can join a Scouting program just for them. The program offers fun and challenging activities that promote character development and physical fitness while encouraging youth to be leaders in their homes, schools, and communities. National Youth Leadership Training (NYLT) has been open to young women for several summers! This leadership training is the most advanced offered at the local council level. Summer Camp is open to all Scouts, all ages! Cub Scouts can attend day camp or overnight camp and older girls can choose one of four camp sessions to attend. Cub Scouts do fun things with other kids in grades kindergarten through fifth! They get to wear a cool uniform, go places, and see things. They play all kinds of sports and build things, like race cars and bird houses. Want to learn a secret code? Want to learn about wild animals? Go Cub Scouting!